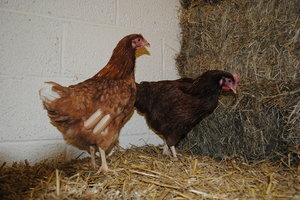 Our Windy Browns are the traditional hybrid hen but by no means just a boring brown hen. They are ideal for any new beginner as they are extremely docile, friendly, quiet and easy to handle, making them ideal for the garden and as pets. They will generally be first at the gate to greet you especially if you have a tasty treat. 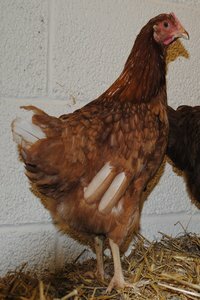 Our Windy browns come from various types of hybrids such as Columbian Black Tails, Babcock, Lohman Browns and Warrens, so that there is a variation in their plumage and colouring. These girls are top for egg laying,300 plus eggs in their first year and you will certainly be charmed by their characters. 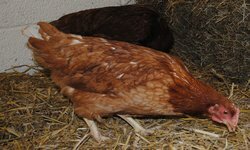 So if you are a beginner or an old hand and would like to know more we are happy to give help and advice on keeping hens. So pop into the shop and we will show you how to handle the girls correctly.